Thousands of people died from infections in 1846, while doctors refused to admit they could be spreading disease from one patient to another. Yet when Hungarian doctor, Ignaz Semmelweis, promoted the idea that doctors wash their hands and medical instruments with soap and chlorine between patients he was ridiculed, even after he was proven to be correct. The way we do things gets ingrained, we develop patterns for completing projects quickly. And with the never-ending anxiety from approaching deadlines, it’s a lot easier to get something done, than rethink why and how you are doing it. Over the last 12 months I’ve encountered hundreds of instances of membership programs doing things because that’s the way they’ve always done them. And they’ve showed me, with pride, the onboarding campaigns they’ve created for their newest members that ignore all of what we’ve discovered that generates engagement, retention and increases revenue through upsells. It’s just like the doctors in the hospital of the year 1846 who had grown to expect infections and patient deaths. It has been all around them during their medical careers. And, even when someone presented a solution, they rejected it because the deaths were normal to them. Quick question: Would you tolerate it if your employer took back 60 percent of your earnings four months after you earned them? Then why would you tolerate losing 60 percent of your members after four months. That’s what’s happening to your membership program if your churn rate is 15 percent or more. And, it’s only a problem if you’ve chosen to accept it. We are turning over a new calendar for the year 2018. I challenge you to grow membership with a new business model. A model that keeps members engaged by demonstrating the true value your membership delivers. To convert members into raving fans by making a real positive impact on their lives, and to grow a vibrant tribe of followers who share your values. Over the last year, I’ve helped different Agora affiliates, as well as a dozen other clients. I’ve helped them reduce refunds, improve paid conversions and increase upsells. These companies love me for the money I’ve put into their bank accounts. Do you want to know the secret? The secret is that I’ve tweaked the deliverable so that they get new members more excited after they receive the product than they were when making the purchase. It gives the members fast results, and helps them grow confidence by experiencing success. Would you like to deliver products that generate excitement, results and success? And, does it make you even more excited to learn that these same deliverables also generate more members, money and membership growth for you as well? Too many forces in today’s culture try to lead people based on fear. They try to make you afraid of every new development. They glamorize the bad and never mention your opportunities. And, as long as your members are watching or clicking on their stories, they win, and you lose. Let’s fight back by showing your members how they can experience the dreams they’ve long had for their lives, but have always been afraid to act on. Let’s reveal the paths towards success. Let’s make that success believable and actionable. I’m not going to tolerate fearmongering anymore. Any politician, news outlet or “friend” who promotes fearful stories is removed. Instead, I’m going to focus on opportunity, success and results. There’s a better way to grow a business. Show people what the possibilities are when they improve their lives, give them an opportunity to get the tools to make it happen, and encourage them along the way. Thank you for your comment. 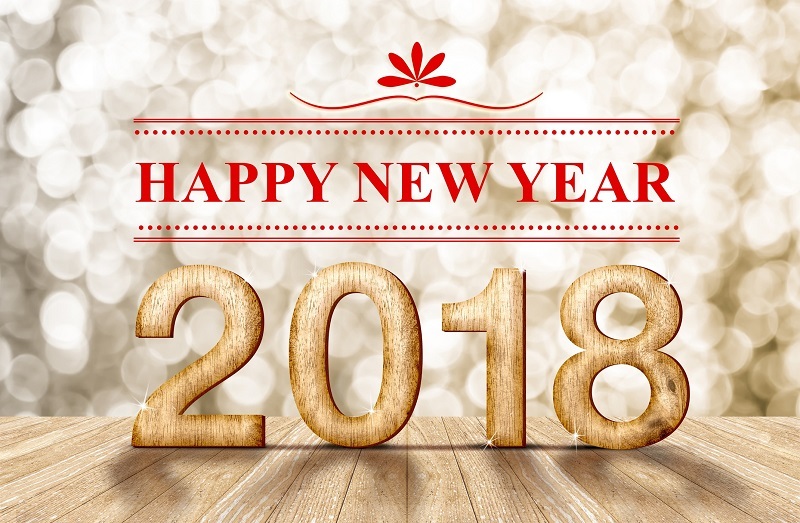 May your membership grow in 2018!